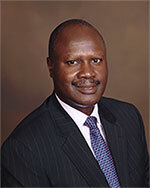 Josiah is the Managing Partner of Consulting Services, and has over 23 years of industry, public accounting and state experience. He assists clients across various industries with their multistate Unclaimed Property voluntary disclosure initiative, audit defense, negotiation and settlement of unclaimed property exposure with state administrators. He also assists clients with their unclaimed property risk assessment reviews, implementation of unclaimed property policies and procedures, and unclaimed property due diligence review during mergers and acquisitions of major corporations. Josiah is a co-author to the Unclaimed Property Treatise published by the Bureau of National Affairs (BNA Corporate Practice Series Portfolio No. 74-2nd) and is a frequent speaker on unclaimed property topics. He has also co-authored various articles on unclaimed property, including “Unclaimed Property: Consideration for Corporate Treasury and Finance Personnel,” Journal of Corporate Treasury Management, May 2009; “Sarbanes-Oxley Act: Using §404 Review Process to Comply with State Unclaimed Property Laws,” BNA State Tax Report, October 2004; and “Unclaimed Property – How to Comply with the Undisclosed Liability and Reporting Requirements,” AICPA Journal of Accountancy, February 2004. Prior to Moyer & Osibodu, Josiah was a Director with the Thomson Reuters Unclaimed Property Group, and also served in a similar role as a Director in the former Unclaimed Property Practice of Deloitte & Touche LLP. Josiah’s experience also includes employment with the Pennsylvania Department of Revenue as a Taxation Auditing Specialist, Harsco Corporation as a Tax Accountant, and Ernst & Young, LLP as a Senior Tax Consultant. Josiah earned a Bachelor of Science degree in Accounting from Point Park College and a Bachelor of Agriculture degree in Animal Science from the University of Ife, Nigeria. Josiah is a member of the American, Pennsylvania and Florida Institute of Certified Public Accountants and the Association of Certified Fraud Examiners.